The huge guns are silent now, but on June 6, 1944 they blasted huge shells at the men and machines attempting to land on the beaches of Normandy, France on what is known as ‘D-day’ or in Army terms, Operation Overlord. To save soldiers from being obliterated, these guns had to be taken out. Brave soldiers from the United Kingdom were given the job. 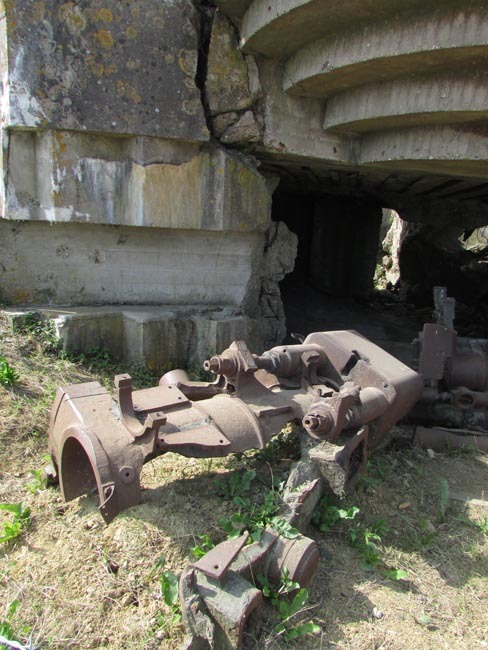 One gun is blasted apart, and its remains lie in the ruins of the concrete bunker. The other three guns look as if, with a little lubrication and wiring, they could fire again today. The soldiers manning the guns, shellshocked by an aerial and sea bombardment abandoned their positions. 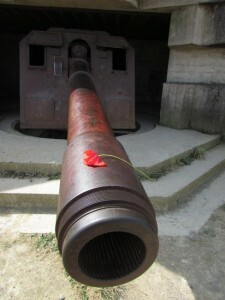 These guns will remain for a hundred years or more after the last brave WWII soldier is laid to rest. 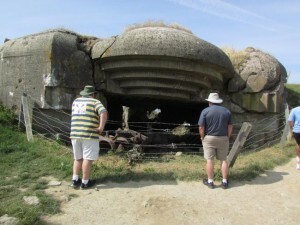 Posted in France Tours, Normandy Tours and tagged arromanches, battle, d. day, guns, tours.